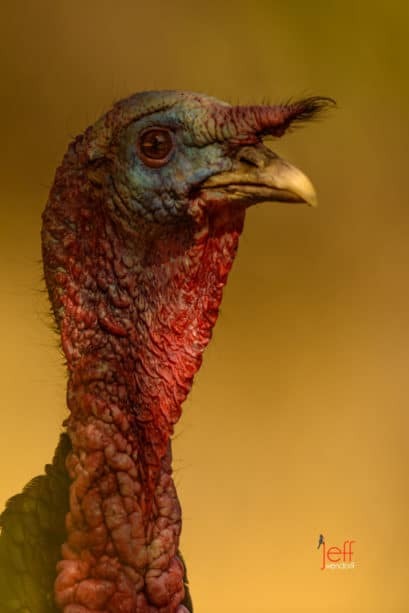 The turkey is one of the first birds that most of us know, either from the holiday table or those handprint turkey’s we made for our parents in kindergarten. They are pretty amazing and when the light hits them just right, quite beautiful. 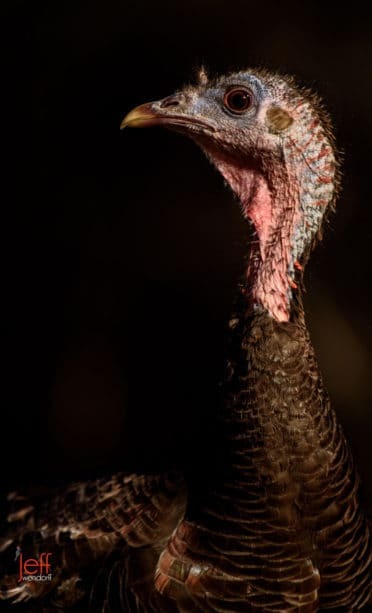 Turkey’s have a long tradition of presidential pardons during the White House Thanksgiving meal, going all the way back to Abraham Lincoln. It was not an official thing though until 1989 with President Bush. Turkeys are very fast flyers, 60mph, and they roost in treetops at night. 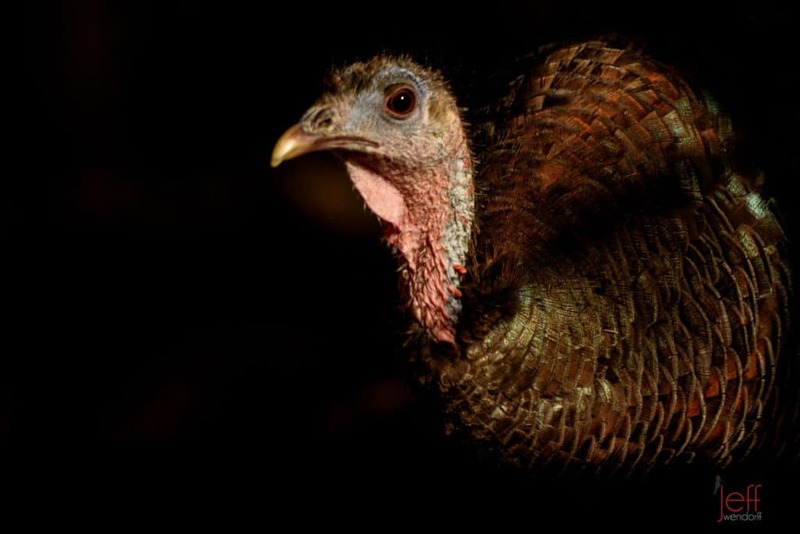 The Collective noun for a group of turkeys is a “flock” or a “rafter”. Faithful readers of my photography blog, www.jeffwendorff.com, know that I advocate the far more evocative word, a “gobble.” Adult males are Toms; females are hens and babies are poults. There are six recognized subspecies of the Wild Turkey: Eastern, Osceola,(aka Florida), Rio Grande, Merriam’s, Gould’s and Ocellated. The Eastern is the most prevalent and are found in 38 states mostly east of the Mississippi River. They are difficult to tell apart, so it is best to consult a distribution map. 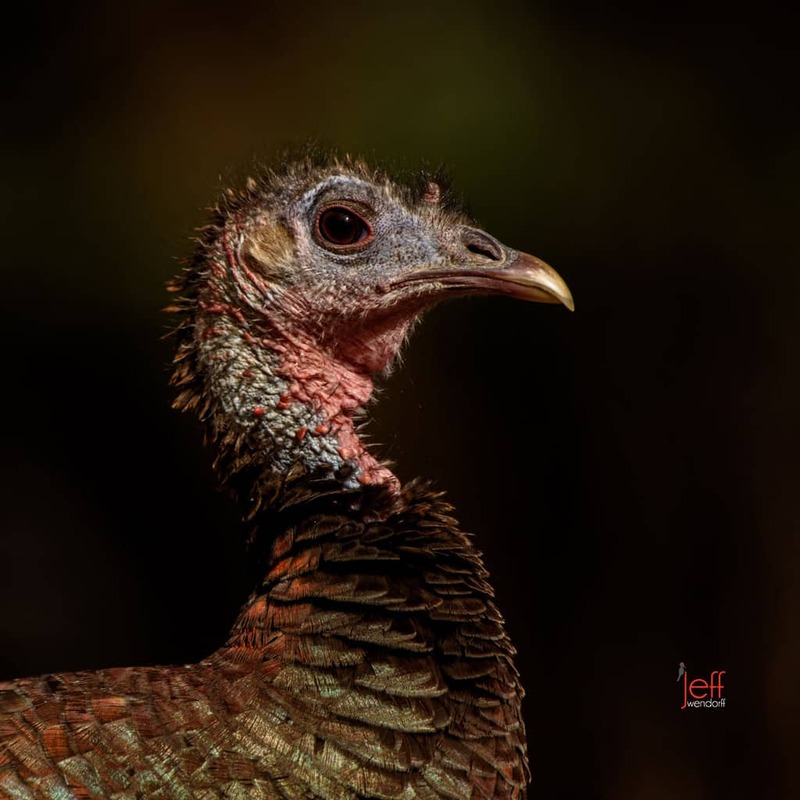 All of my Wild Turkey images are available to purchase prints of most sizes in my online gallery. 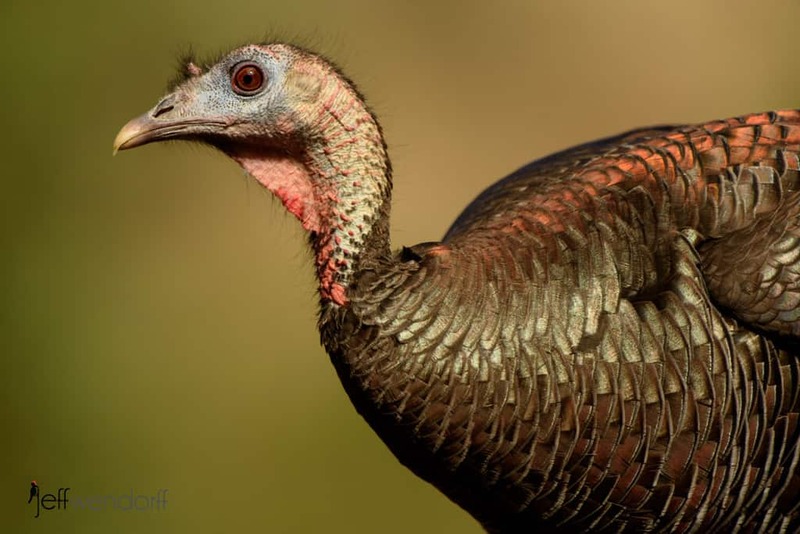 I have photographed several subspecies of the Wild Turkey including, Meriam’s, Gould’s, Eastern, and Rio Grande. If you want larger prints than are currently online or if you’d like to license a print just send me an email. I offer one workshop that has an excellent chance to photograph these amazing birds and that’s my Birds and Bats photography workshop in Green Valley, AZ. Check out my website www.wildifeworkshops.com for more details.